The Sony VPL-VW360ES Projector with installation. Sony’s VPL-VW360ES is a true 4K native SXRD projector, which has three native 4K panels (one for each of the primary colours). This state of the art projector model uses 4K SXRD technology based upon the technology which Sony initially introduced for their highly regarded range of 4K commercial cinema projectors. This model brings Native 4K panel based projection to a new and much lower price point than has been seen previously. 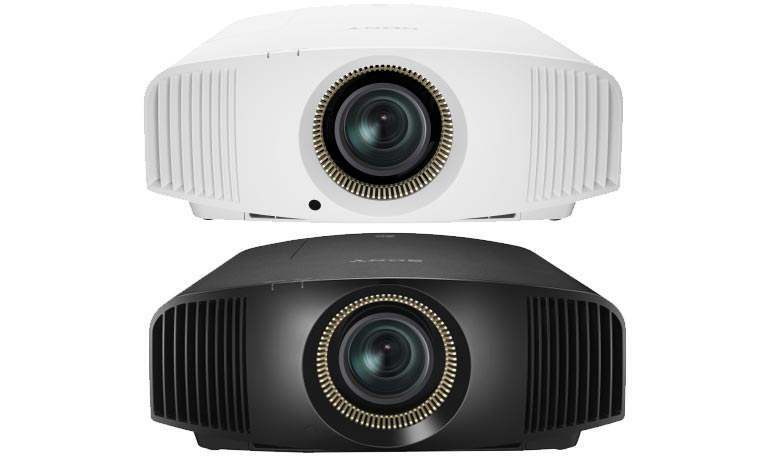 This projector has many of the features of its more expensive brother, the Sony VPL-VW360ES. The VPL-VW360ES delivers a Dynamic contrast ratio of 200,000:1 and image brightness of 1500 lumens. Sony includes a 3 Year Sony prime support contract with this projector. 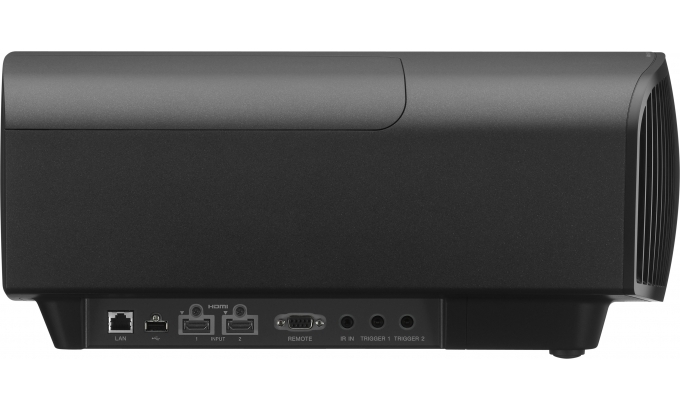 We bundle the Sony VPL-VW360ES Projector with installation which includes technical planning, supply and delivery of a top quality ceiling or a wall mount, and up to 5 Metre HDMI 2 cable, surface run from the from the location of any existing source devices. Rounded profile mini trunking can be used if desired. Other requirements can be accommodated, please let us know how we can help. Main features for the Sony VPL-VW360ES projector with installation – bundle. No compromises: the VPL-VW360ES provides 4096 x 2160 4K resolution (the DCI standard in digital cinemas). Sony have used their professional cinema expertise to develop 4K SXRD panels and produce a 4K native picture with no artificial enhancement of pixels. Drawing on optical technology developed for the VPL-VW1100, both high brightness (1,500 ANSI lumens) and high contrast (200,000:1 dynamic contrast ratio) has been achieved in the VPL-VW360ES. The VPL-VW360ES ’s optical engine and SXRD panels incorporate our Triluminous Display technology to produce a much broader colour range, reproducing more tones and textures than a standard projector system. The result is greater purity, depth and realism. Motionflow technology has been enhanced. ‘Combination’ mode uses Sony’s ‘Film Projection’ and ‘Motion Enhancer’, adding frames to reduce blur and maintain brightness in thrilling, fast-moving scenes. Cinema purists can choose ‘True Cinema’ to retain the original 24 frames per second. A built-in RF transmitter synchronises with any RF 3D glasses for wider coverage, greater stability, and there’s no need for a cable. Drawing on the same technology used to downscale 4K material for Full HD, the VPL-VW360ES gives you a near native 4K experience with discs ‘Mastered in 4K’. It’s as close as you can get to the 4K-pixel resolution and expanded colour range of the original. The VPL-VW360ES can show up to 60 frames per second in 4K (at colour signal YUV 4:2:0). It’s the new 4K industry standard and is much higher than the earlier 24p. The result is a smoother image with superior colour and realism. A smaller optical engine means the VPL-VW360ES is approximately 18cm shorter in length than Sony’s VPL-VW1100ES, so there’s greater flexibility for installation. The VPL-VW360ES is compatible with many home automation systems. It has an RS232 interface, RJ45 control, and IR-IN terminal. Installation for this projector includes up to 5M HDMI 2 cable, surface fixed in rounded mini trunking (if required). UK home cinemas will deliver and install a premium quality wall or ceiling mount (type to be agreed with client in advance). The Sony optional accessories for this projector are available from UK Home Cinemas.